I have a bunny for sale, she is approximately a year old. 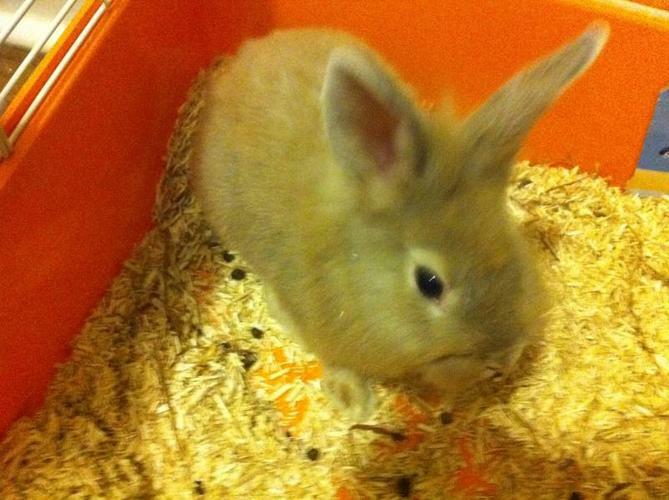 Half lionhead/ half dwarf bunny, very cute, friendly, and active. She needs a home where she has room to run around and play. She is also litter trained. It is just the bunny for sale. Message if interested, I can also send better quality pictures. Flemish Giant and Meat Rabbits for Sale! All types of colours and sizes. For more information please call 519-291-5523.